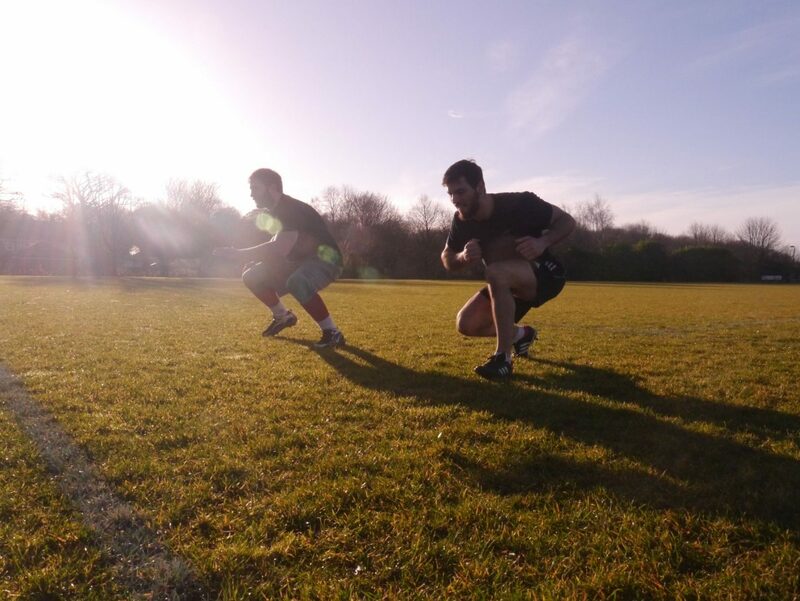 The warm up is essential to perform your best on the field or in the gym. It is just as essential as wearing your pads and helmet. And so shouldn’t be left out. A warm up should include active movements of low to medium intensity to raise the body’s temperature, warm tissue and improve range of motion. The reported benefits of warming up include; enhanced physical performance, reduced muscle soreness and injury prevention. So you’d be silly to not get involved! Develop a stretching programme suitable to the needs of the activity, age, gender and skill. A common mistake is to simply work on an area which feels ‘tight’. American Football is a very physical sport, a full body activity involving the arms, back, legs, trunk, neck and glutes. Therefore it is incredibly important to warm up the whole body to ensure each of these areas have warm tissues. Stretching should be included as part of the warm up and should last for around 15-20 minutes. A warm up should include dynamic stretching. Static stretching should be left alone until the cool down. Dynamic stretches move the joints through their available range of motion and raise the heart rate. These stretches are far superior prior to physical exertion as they will not reduce strength levels unlike static stretching. Never stretch into pain, stretch to ones level of tolerance. Never push the joint beyond its capabilities to a level of pain. Remember pain is your body telling you something is not right, so stop. As an American Footballer you might feel immune to this but it is important during stretching that you don’t ignore this feeling. By doing so you put yourself at risk of injury. And no one wants to be benched! Think about the timing of the warm up. During plays, half time or waiting for selection there can be long periods of waiting. During these times the body will lose the benefits of the previous warm up. Therefore, it is advisable to perform a short warm up on the side-line to ensure the body stays in optimal condition before performing. You might also wish to bring extra layers to wear over your pads on the sideline such as an oversized jacket to protect you from wind-chill and keep muscles warm. A warm up should be a progressive exercise to help the body adapt before performing at 100%. You don’t go from 0-100% with no middle ground. And so, a warm up should have a gradual progression in both tempo (slow, medium, fast) and complexity (simple to complex). Not only does this type of warm up help warm bodily tissues, it also helps mental readiness. Individuals will see better results with this method and a decreased risk of injury within the warm up itself. The movements can be mildly aerobic and should work the full range of movement allowed by the individual’s body at that particular joint. For example you could incorporate mobility exercises. Do you have a specific warm up routine? Let us know in the comments below! Next Post Squatting – knees over toes?